Die Hard with a Vengeance, Jurassic Park III, and Mission: Impossible III were all excellent third entries, each more than making up for the problems of its weak predecessor. In all of those cases, changing directors allowed a breath of fresh air into the property the third time around — in M:I III’s case, funnily enough, from J.J. Abrams. 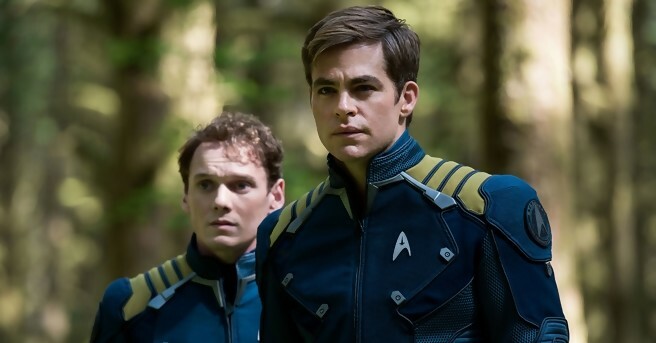 Abrams’ next movie would be the 2009 Star Trek reboot, a thrilling adventure that redefined the franchise — which then swiftly became stale and unimaginative in his 2012 follow-up, Star Trek Into Darkness. Now that Abrams has jumped from warp drives to hyper drives, Justin Lin has been hired to do for Star Trek what he did for Fast & Furious movies 3-6, and he proves to be just what the series needed to once again shoot for the stars. As Star Trek Beyond begins, Kirk (Chris Pine), Spock (Zachary Quinto), and the crew of the U.S.S. Enterprise are three years into their five-year mission to explore new worlds and to seek out new life and new civilizations. Kirk has grown weary from the disorienting nature of space and the repetitious structure of serving in Starfleet. Upon a shore leave at the Starbase Yorktown — what M.C. 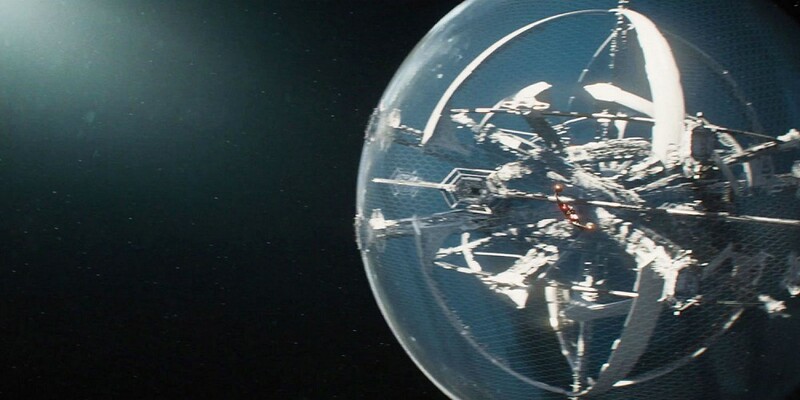 Escher would probably design if someone commissioned a gyroscope-themed space station — the crew gets little time to rest before an escape pod drifts by the star base, with a woman claiming her ship is stranded and requesting help. When Kirk and crew arrive at the coordinates, the Enterprise is efficiently and viciously destroyed, section by section, in a mammoth action sequence composed of several smaller, spectacular action scenes. As the crew evacuates, the main seven find themselves split up into pairs after ejecting from the ship and landing on the surface of a nearby planet: Kirk and Chekhov (Anton Yelchin, in one of his final performances); Spock and Bones (Karl Urban); Uhura (Zoe Saldana) and Sulu (John Cho); and Scotty (Simon Pegg, doing double-duty as screenwriter) and the mysterious Jaylah (Sofia Boutella), a lithe warrior who crashed on the planet earlier. Pairing off, each duo’s story serves as a miniature buddy comedy, with enough differences to feel distinct from one another but connected enough to tell the single story of stopping the mysterious villain Krall (Idris Elba) and his vendetta against the Federation. The why and the how are the real reward of the narrative, and they’re teased out quite well. Justin Lin tackles the series with the same gusto he used to rejuvenate the Fast and the Furious franchise, borrowing the family-unit mould he used to harness Dominic Toretto’s team and fitting it onto the crew of the Enterprise, with effective results. What’s more, Lin has a wonderful eye for shooting action. While many of his dialogue-driven scenes are flatter than Abrams’ films, he illustrates his action sequences like a conductor orchestrates music, creating shots that blow you away mid-picture and sequences you’ll remember long after the movie’s done. Pine, Quinto, and the rest of the Enterprise crew actors are all at the peaks, with two movies being enough time to feel fully comfortable in their roles. This time, though, the most impressive performance is that of new addition Boutella, whose tigrine performance has a habit of overshadowing whoever she’s acting opposite. 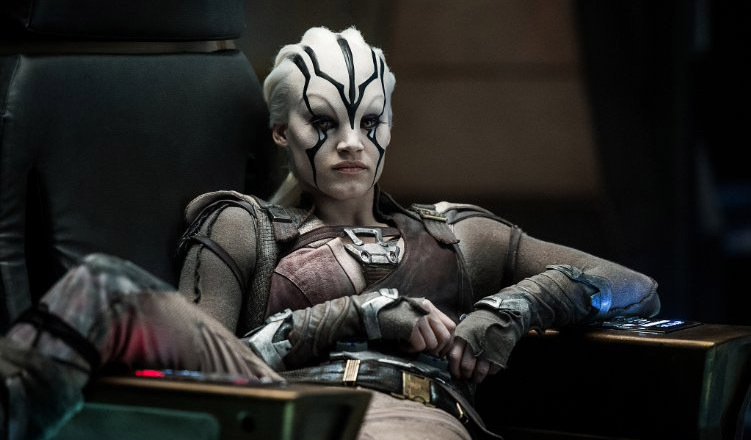 The comedy of seeing the irascible Bones and the emotionless Spock stuck together or of watching Scottie trying to communicate with the angrily confused Jaylah provide many laughs throughout the movie — this is the funniest Star Trek movie in decades — but also has an unintended side effect. No Star Trek movie has come close to being this funny since 1986’s Star Trek IV: The Voyage Home: a movie that also found the crew of the Enterprise grounded on a planet, and split into pairs for the bulk of the movie, in which clashes in personality lead to repeated comedic mishaps. If Star Trek Into Darkness stole wholesale from Star Trek II: The Wrath of Khan, Star Trek Beyond, as the very least, comes off as a giant love letter to The Voyage Home. There are no moments that are repeated beat for beat — after all, there couldn’t be a more starkly different plot than stopping a murderous maniac and saving humpback whales — but enough seem overly familiar that the movie feels less original than it should. The prevailing theory with Star Trek movies has always been that the odd-numbered movies are the weak ones and the even-numbered ones the greats. I propose the pattern actually flipped with the reboot series. After the laziness of much of Star Trek Into Darkness, Star Trek Beyond is a welcome return to form — even if not quite as original or impressive as 2009’s Star Trek.